Cables coated in black rubber – black rubber was phased out in the during the 1960’s.Cables coated in lead or fabric are even older.A fuse box or fuse board with a wooden back, cast iron switches, and a haphazard mixture of circuit.Round pin sockets and round light switches, braided flex hanging from ceiling roses to light fittings, black switches, sockets mounted in skirting boards, wall mounted light switches in bathrooms.If any of these features are present in your house. It’s likely your wiring system is several decades old. And probably needs a full house rewire, for safety reasons we strongly recommend that you choose an NICEIC Approved Contractor to carry out any electrical work. 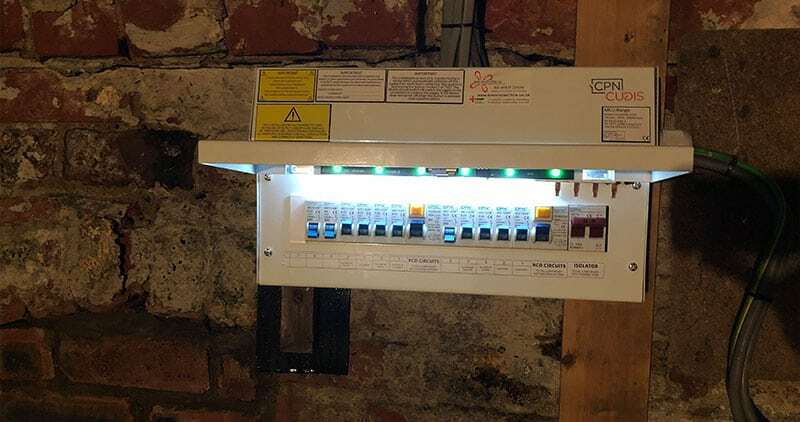 48% of those surveyed did not know that their electrics should be checked at least every 10 years by means of a periodic inspection, now called an electrical installation condition report.